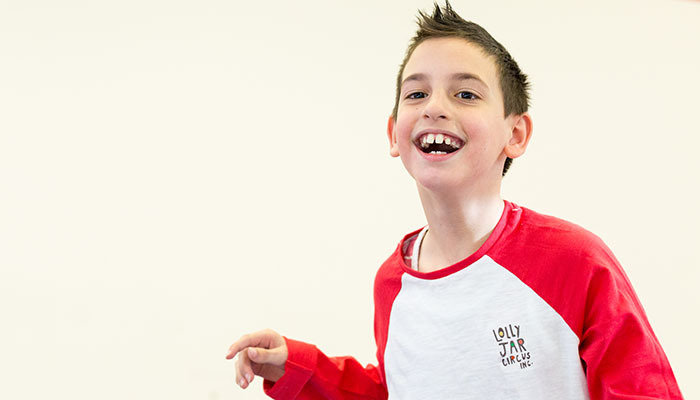 Diezel has cerebral palsy that affects the right side of his body and his speech. Since he was one, Diezel has had to work extremely hard with many different therapies to keep his muscles from tightening, to walk, talk, eat and undertake daily tasks. His parents searched for therapies that would keep him engaged and be fun. They found that “and so much more” at Lolly Jar Circus. 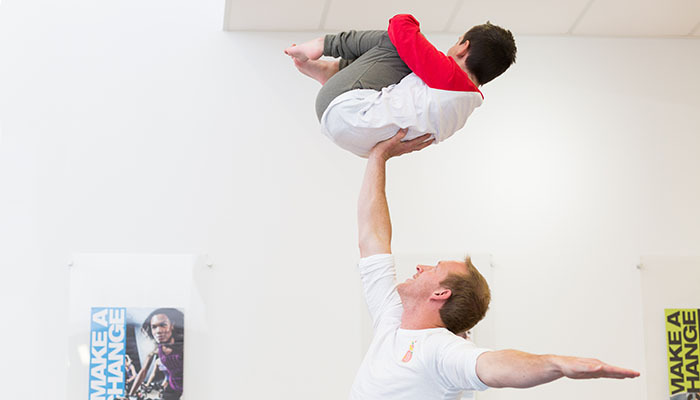 “To, Diezel, Lolly Jar Circus is super fun, but to us as parents, we know it is helping to strengthen his core, make him stronger and increase his confidence in ways we never imagined. Lolly Jar Circus has given us hope to believe that anything is possible, no matter what your limitations may be. Most people see what is and never see what can become… but together with his fabulous trainer Jono, Diezel has built enormous trust and confidence, achieving circus tricks we never imagined possible. Lolly Jar Circus. Improving the lives of young people through circus.